Perhaps the biggest debate in all of grilling history is what fuel source reigns supreme. Many people favor gas grills for their convenience. Others say that there is nothing better than the flavor you can only get with charcoal. It can be hard to decide what kind of grill is the best fit for you. There are so many pros and cons to every method, many of us find ourselves wishing we could have the best of both worlds. Well, we can. They are called combo grills or hybrid grills. And you have likely found your way here because you, like many others, are on the hunt for the best combo grill on the market. There are many different types of hybrid grills available. 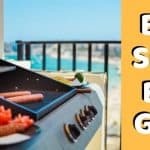 We will be taking a long look at the pros and cons to owning a combo grill, some of the best combo grills available, and what you should look for when you are ready to commit to the combo. We will also pit the convenience of combo grills against the durability of single fuel grills and see which is more beneficial to your backyard barbeque. 1 What is a combo grill? 7 Should you buy a combo grill or two different single fuel grills? What is a combo grill? This type of grill combines two different fuel sources. Traditionally, the most sought after fuel source combination is that of gas and charcoal. Gas is convenient for its ability to heat quickly and easy cleanup. However, gas grills do not provide the smoky, barbeque flavor that you can only find with charcoal grills. With these two grills combined into one hybrid, you can do anything, or at least that is what most people say. Gas and charcoal are not the only potential combination though. Pellet grills are also a heavy contender for those grill masters who wish to marry the convenience of gas and the wood-fired flavor imparted by wood pellets. They are more often found in the Multi-Function Combo Grills, but you can also use pellets as a fuel source in hybrid grills. Another option that is gaining in popularity is the infrared combo grill. It only uses one fuel source – gas. But the part that makes it a hybrid is the combination of two different styles of burners. Infrared burners have the same benefits as a dedicated infrared grill (Find out all of the perks to infrared by checking out our guide to infrared grills here). Infrared provides a quick, unbeatable steakhouse quality sear. Having the combination of a gas grill also gives it an advantage over regular infrared grills because you can cook at a wider range of temperatures. Multi-Function Combo Grills are a combination of a grill and a smoker. This type of combo is perfect if you enjoy being able to slow cook your meat over long periods of time for a delicious smoky flavor. This combo also has the functionality for grilling additional meats or sides at the same time. If you are the kind of person who likes to set it and forget it, this hybrid is the perfect match for you. You no longer have to smoke and grill on two separate pieces of equipment. The hardest decision you will have to make about the multi function combo grill is what kind of grill you want to combine with your smoker. Gas, charcoal, and pellet grills are all great options for your smoker and grill hybrid. What a beast! 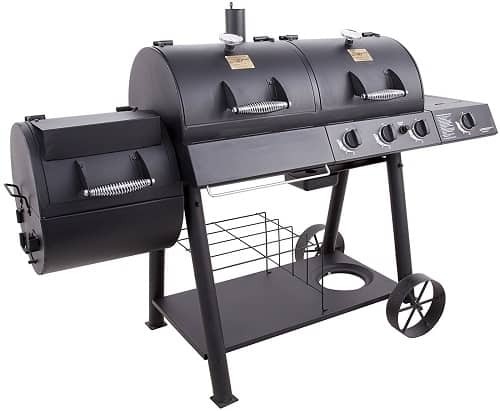 The Oklahoma Joe’s Longhorn Charcoal and Gas Smoker is a three in one combination. Get your BBQ just the way you like it by using charcoal, gas, or the smoker. 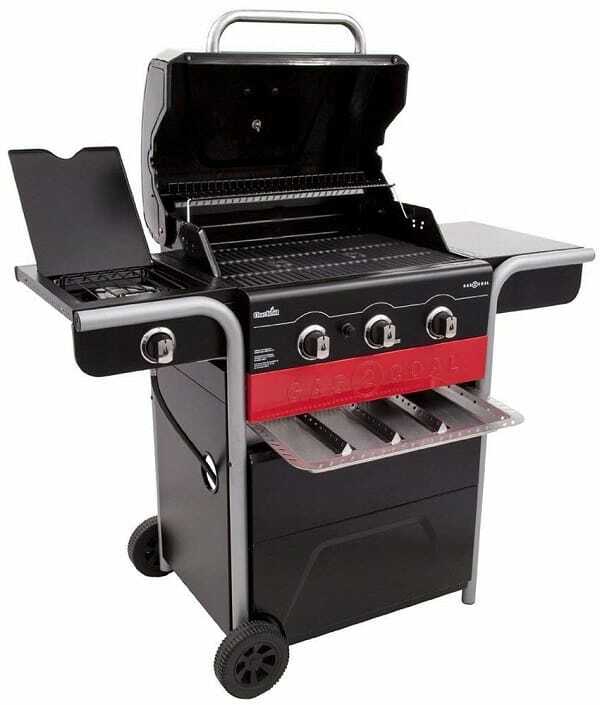 Solidly built and weighing in at 204 pounds, this ranks as one of the best hybrid grills for many factors. In particular, we are truly impressed with its versatility and convenience. The Oklahoma Joe’s Combo unites the experience of using an offset smoker with the convenience of a gas grill. It features 1,060 square inches of cooking space, three gas burners putting out 36,000 BTUs, electronic ignition, and a gas side burner. Multiple dampers allow for adequate temperature control and a convenient firebox door gives easy access to stoking the coals. This is one of the most versatile models on this list and on the market today. Boasting an impressive 1,260 square inches of cooking space, the Char-Griller 5050 Duo Gas-and-Charcoal Grill combines a charcoal and gas grill onto one convenient cart. It is one of the best combo grills in regards to the size of the cooking space. Constructed from heavy steel, this is also a very durable machine that is built to last. Not only do you have the dual gas and charcoal cooking surfaces, but there is also a side burner featuring 12,000 BTUs. The three gas burners utilize electronic ignition and are capable of producing 40,800 BTUs. Adjustable grate height gives you extra control over the cooking temperature. 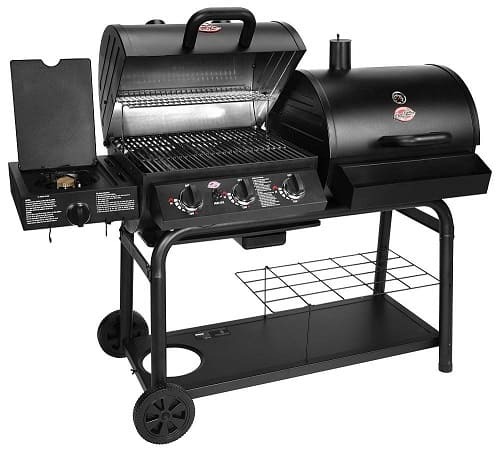 Both sides of this combo grill contain a warming rack for keeping your food warmer longer. On the charcoal side, you can find an easy dump ash pan for quick cleanup. You can also use the included grate lifter for adding charcoal quickly and easily while grilling. We also happen to really like the condiment basket and all of the available storage and workspace on this model. 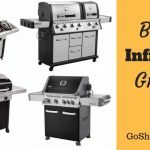 Smaller than some of the other models featured on this list, the Char-Broil Gas2Coal 3-Burner Liquid Propane and Charcoal Hybrid Grill is the perfect size for small gatherings of family and friends. The primary cooking area measures 420 square inches. Combined with the 120 square inch warming rack, that’s 540 square inches of total cooking space. What makes it one of the best hybrid grills? Its main burners boast an impressive 40,000 BTUs, and it features a 12,000 BTU side burner with a lid. But what really makes this grill unique is that, even though it is a combo grill, there is only one cooking chamber. It converts from gas to charcoal in under sixty seconds by simply removing the grates and inserting the charcoal tray and charcoal. All that is left to do is return the grates and press the ignition to heat the coals. The all-in-one cooking chamber makes this a quick and convenient space saver. If you thought the Oklahoma Joe was big, wait until you see the Smoke Hollow 4-in-1 LP Gas Charcoal Smoker Searing BBQ Grill. 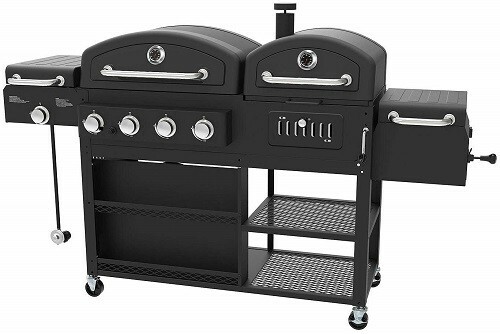 This unit contains four different options for grilling. There is your usual gas and charcoal cooking chambers. But you can also use the smoker firebox for indirect cooking and to really capture that authentic, smoky BBQ flavor. Option number four is the infrared searing burner, which really makes this combo the complete package. Truly one of the best hybrid grills, the Smoke Hollow is a force to be reckoned with. The gas grill portion alone can cook up to 20 hamburgers at one time. Add charcoal or pellets to the smoker firebox to really bring out the flavor in your meat. Gas and charcoal cooking surfaces are capable of being used at the same time, so you can definitely feed the masses with this unit. The infrared burner is one of our favorite features of this model. It is capable of incredible temperatures that give an unbeatable sear to lock in natural juices and flavor. Winner winner, grilled dinner! 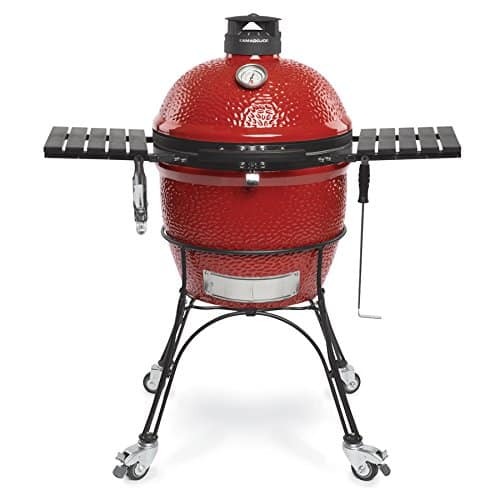 With a distinguished design that continues to gain popularity, the Kamado Joe Charcoal Grill stands out in a crowd. It has a thick-walled ceramic shell that is excellent for heat retention. It is capable of locking in smoke and moisture at any temperature. Inside, the multi-level half rack design gives you the capability to cook different foods at different temperatures at the same time. The top vent is fully weather resistant and provides adequate air flow to the unit. The Kamado Joe is bigger than it looks. There is enough cooking space to comfortably fit 10-12 filets or chicken breasts. The Kamado Joe also utilizes a slide out ash drawer that is the first of its kind seen on kamado grills. The Kamado Joe also features an air lift hinge, which reduces dome weight by 96%, meaning you can lift it with a single finger. You may notice it resembles the Big Green Egg, so see how the Kamado Joe stacked up against the Big Green Egg in our review here. With its iconic kettle shape, the Weber Master Touch Kettle Grill has been a fan favorite among grilling enthusiasts year after year. This Weber hybrid grill features a porcelain enameled bowl with a cooking area of 363 square inches. 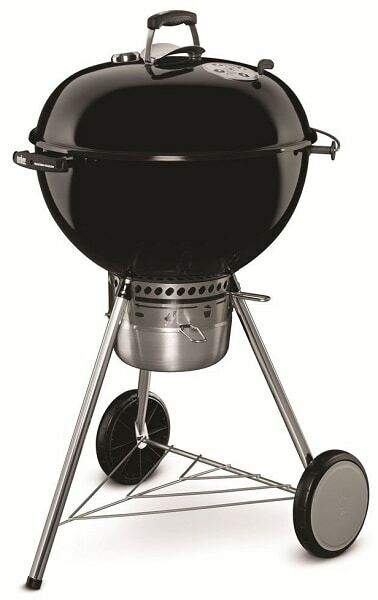 Weber is known for its durability and high quality grills, and the Master Touch Kettle Grill is no different. It features a one-touch cleaning system, removable ash catcher, a rust resistant aluminum damper, tool hooks, and two glass-reinforced nylon handles. One of the best parts of this grill is that with the right accessories, the kettle can convert into a smoker or even a pizza oven, making this Weber hybrid grill the total package. You can even add on a griddle or poultry roaster! Not only is this Weber kettle one of the best hybrid grills on the market, it is also one of the most affordable. We could talk for days about all of the incredible features of the Weber Master Touch Kettle Grill, but instead you should probably just read our full review here. The best Combo grill makes for a nice alternative to having multiple kinds of grills taking up space in your backyard. If you are short on space, combo grills are a great way to get both of your preferred cooking methods in one unit. Whether it is a busy weeknight or a relaxing weekend, you always have time to grill. In a hurry? Gas ignites with the push of a button. Have time to spare? Get that delicious smoky flavor with charcoal. Depending on the model of grill, you can often use both fuel sources at once. You will be a hit at the next backyard barbeque when you can utilize the strengths of both types of fuel. You are sure to satisfy even the pickiest of eaters or grill-snobs because your options are endless. Essentially, you are getting two grills for the price of one. That is a deal that can’t be beat! However, price can be both a pro and a con depending on the model you have in mind and its build quality. Many of the models that let you operate both fuel sources at the same time often only allow for a minimal amount of charcoal at one time. You will have to replenish the charcoal during grilling to keep the temperature up. Other than limiting the amount of charcoal, other shortcuts have been made to pack two grills into one. Some models have notable lack of adequate airflow, giving you less control over the temperature. Combo grills are the epitome of “you get what you pay for”. The cheaper the model, the more shortcuts are taken in its construction. Cheaper models are less durable and less solidly built. The best combo grill will always feature high quality materials that will last you many years. Think of it like getting two “mini” grills. Both sides have a limited amount of space. You are not going to get near the amount of cooking space you would get with a grill dedicated to a single fuel source. Which combination best suits your needs? Are you looking for the traditional combo of gas and charcoal? Or would you rather your combo include a smoker or even infrared burners? There are a wide variety of combinations available on the market. So, make sure you find the best hybrid grill that gives you the perfect combo. The best Hybrid grill will definitely save space in comparison to having two individual grills. But you also do not want to sacrifice so much cooking space that you can’t adequately feed your family or friends. How much space do you really need? Well, 300 square inches works well for individual and small family use. If you plan on cooking for larger gatherings though, you will want to look for a cooking space of 500 square inches or more. Just remember, often the larger the grill also means the larger the price tag. Some hybrids do not have the necessary vents and dampers for adequate airflow, leaving you with less precise control over the temperature. If you are seeking the best combo grill that has a charcoal grill, you should also be looking to make sure the charcoal tray is adjustable. Being able to raise and lower the charcoal tray is essential to maintaining how much heat reaches your food. Another factor with the charcoal aspect of hybrid grills is the ease of access to the charcoal tray. Some hybrid grills limit how much charcoal you can add at one time. So, if you have to add more charcoal while cooking, it isn’t very convenient if you have to move all of the food, lift a grate, add more fuel, and then move everything back into place. The best combo grills are fairly large, but they still save a considerable amount of space. Rather than having several different grills scattered around your backyard, you can combine them into one smaller unit. However, if you have the space to spare, you will likely find that having two single fuel grills is worth the sacrifice of space in favor of having more durable, efficient grills. Like we said, you get what you pay for. So, if you want to commit to the best combo grill, do yourself a favor and shell out the big bucks for the better, higher quality models. 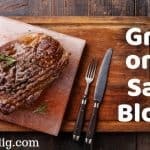 Just remember – you can often purchase both a gas and charcoal grill of great quality for less than what you would pay for a high quality hybrid grill. Should you buy a combo grill or two different single fuel grills? This is a tough question to answer, and one that would depend on a few factors. Consider your budget, available space, and how important it is to you that you be able to use two different fuel sources at one time. If you have space, and a budget that allows it, buying two independent single fuel grills is the way to go. That way you do not have to sacrifice anything in terms of cooking space, temperature control, or build quality. However, if you want to efficiently use two fuel sources at one time, you will definitely need a hybrid grill. Just remember to do your research on the quality of your hybrid because you get what you pay for. Sometimes buying two high-quality single fuel grills can actually cost you less than buying the best combo grill. A high-quality hybrid, however, can be a dream come true for all of your grilling needs.